Every day from the 20th of March to the 2rd of November 2019. It is a touristic bus service tour following a route in the historic Centre of Perugia, going through the narrow street and run along the medieval and Etruscan wall. The tour is of about 50 minutes and covers the main monuments of the City. 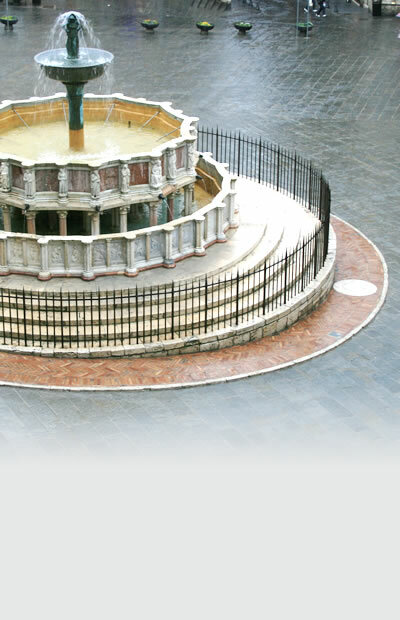 Information and booking:TOURIS T BOX +39 345 0417038 -PIAZZA ITALIA – HISTORIC CENTR Monday/Saturday 9:20 am - 2:10 pm and 3:30 pm – 5:30 pm; Sunday 9:20 am - 1:00 pm and 3:00 pm - 6:00 pm from the 1st of April to the 1st of November 2017.